In Maryland, USA, there is a town called Frostburg, and in that town there is a college. And in that college there is a children’s literature department. The college is twinned with Mary Immaculate College in Limerick and every year a student travels from there to Frostburg to act as an assistant at the children’s lit facility. 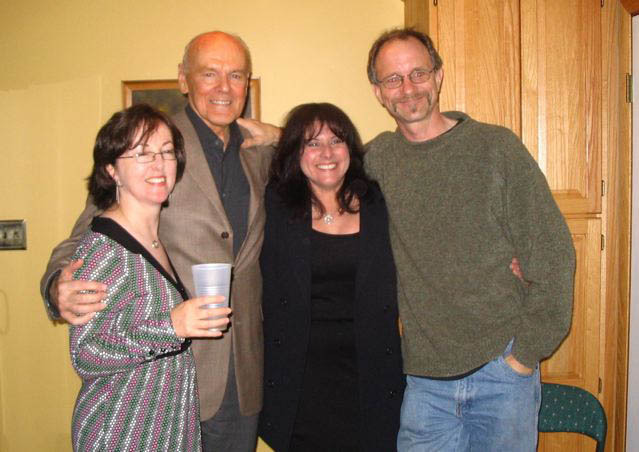 It was one of these exchange students, Maeve O’ Connell, who suggested to the folks at Frostburg (Dr Bill Bingman and Dr Barbara Ornstein) that they should invite me to speak, so in 2007 I travelled to the USA. 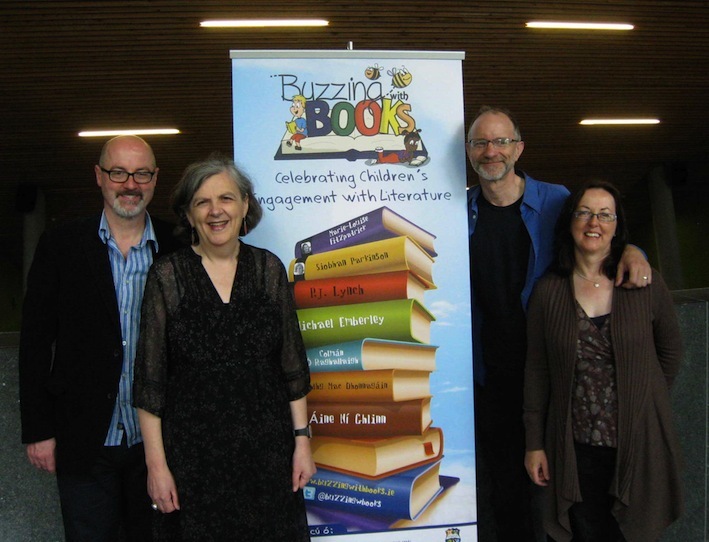 The other children’s authors invited to speak at the conference in 2007 were Laura Vaccaro Seeger, Richard Peck, and a guy called Michael Emberley. 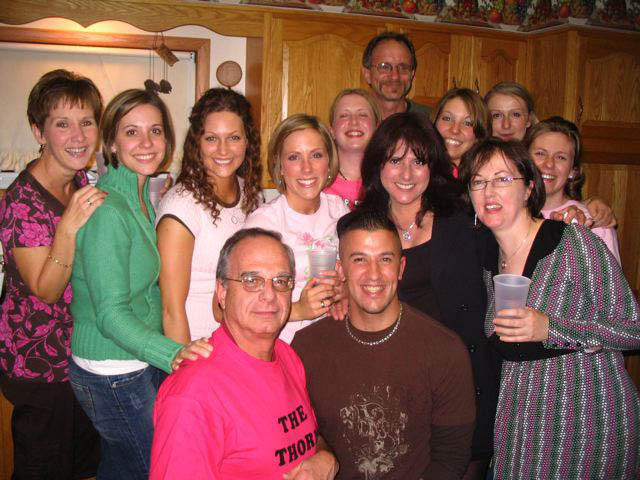 We all hit it off immediately and had a lot of fun chatting at every opportunity. It was a two-day conference and we were kept pretty busy, but on Saturday night we all relaxed at the end-of-conference party at Bill and Karen’s house. Afterwards myself, Michael and Laura made our way back to our hotel, the gloriously eccentric and historic Hotel Gunter. It was after midnight but we decided to explore the hotel together – we’d all had just enough wine to think we were being quiet as mice. Our tour began in the basement. The basement of the Gunter had a bar, a mocked-up coalmine, and many many glass exhibition cases filled with stuffed animals – of both the toy and dead variety. Other cases contained dolls – the kind with eyes that seem to follow you as you move. 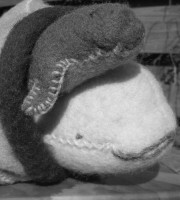 Another case contained a collection of hats which belonged to a much-loved departed resident of the town. And there was a prison cell. A genuine prison cell. The hotel was once an overnight train stop enroute to Washington and a sheriff bringing a prisoner through would lock him/her up and retire to a room upstairs. We peered through the bars. A life-size body was ‘sleeping’ under a blanket on the bunk, guarded by a life-size stuffed lion who glared out at us. Up in the lobby we admired the fabulous Gone with the Wind stairs and climbed to the first floor landing where a teddy bears’ picnic was set up on the return. We stuck our noses up against a pair of French doors -locked- which led to the Wedding Room. Not a room for weddings, a room of weddings. Everything was white. There were hundreds of dolls in wedding dresses but not a groom doll in sight. There were Christmas trees (it was April) smothered in white baubles. In the centre was a table (all white) set for dinner. Basically it was Miss Havisham, without the cobwebs. We crept up the next flight of stairs passing more doll and teddy bear scenarios, Victorian wall lights, plus some random sinks placed along the corridors. We tiptoed past the ‘Black Room’ – a bedroom dedicated to the memory of a deceased country singer. A Limerick lecturer called Frank was asleep inside now but he had told me that everything in there was black. Black curtains, black bedspread, black four-poster, black shower curtains. My room on the other hand, was all pink. Massive four-poster with pink curtains, pink bedspread…you get the picture. Michael, Laura, and myself sat on my pink sofa, had another glass of wine, and talked children’s books for a while more before we called it a night. Within a week Michael and myself were emailing each other a dozen times a day and within a month I was at Dublin Airport waiting for his plane to land. 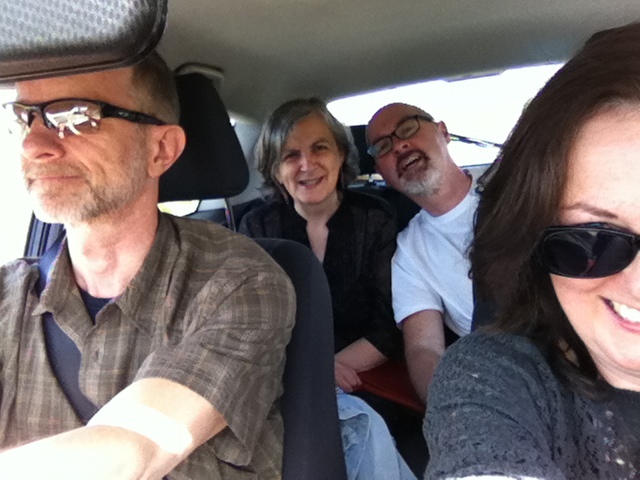 Fast forward to 2014, and last week we set off for Limerick with Pj Lynch and Siobhán Parkinson in the car. 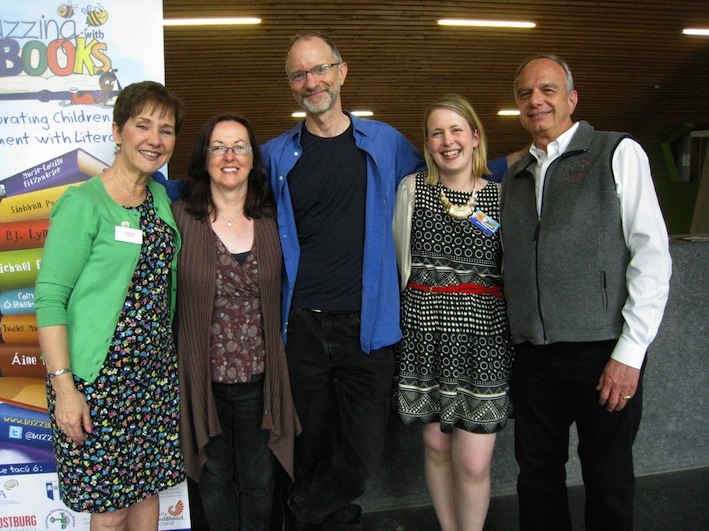 We were all speaking at Mary I’s very first Children’s Lit conference – Buzzing with Books. Siobhán and Pj are also past veterans of Frostburg (1998) and we all reminisced about the town and the wonderful Hotel Gunter. And the car selfie, just for fun!